Constipation is a pretty common problem which didn’t attract more attentions before. But according to a new study conducted by Yale University, things have been changed that constipation could be caused by herpes. Due to reports of constipation which herpes patients experienced, Yale researchers put their eyes on the symptoms which are common but mostly unexplained. For women with herpes, they may suffer difficulty in passing urine. They may also experience pain, sensory loss, and even constipation. Researchers experimented with mice models and tracked herpes type 1 virus as it moved through mice’s nervous systems, ending up in the gastrointestinal tract. They found that the herpes virus can travel from the genital area to the colon, where it can cause severe damage to the digestive tract. Two-thirds of people under the age of 50 in the world have HSV-1, about 3.7 billion people. The common symptoms of herpes could be an outbreak of blisters in affected parts of their body. 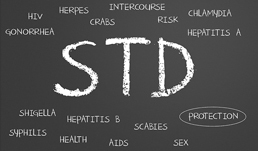 Herpes Symptoms Virus(HSV) normally consists of HSV-1 (mostly on the mouth area ) and HSV-2 (mostly on genital area). HSV-1 can be moved from mouth to genital area and caused HSV-2. Most people don’t know their real condition unless an outbreak since herpes is surprisingly common an doesn’ have a visible appearance. It is possible that you could have it without even knowing. So, if you have chronic constipation and other ways can’t help, it would be worthy of getting a test.